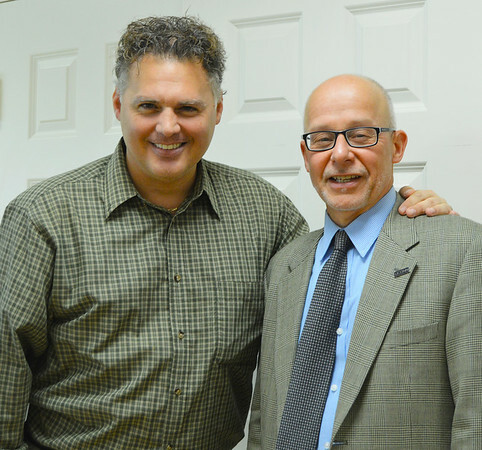 NEWINGTON- At his monthly Business Advisory Council, State Representative Gary Byron (R-Newington) hosted an informative group discussion with Joe Ercolano who is with the Small Business Development Center (SBDC). Joe Ercolano discussed the joint cyber security workbook between the Small Business Development Centers and the Connecticut Business and Industry Association, and gave a cyber security presentation geared towards businesses – followed by an educational question and answer session with members of the business advisory council. The workbook was developed to help businesses manage and protect sensitive data, the U.S. Department of Commerce's National Institute of Standards and Technology created the cybersecurity framework presented this workbook. NIST has also developed additional cybersecurity requirements for any organization that wants to do business with a federal agency. Ercolano brought attention to how small businesses may not only be directly targeted but used as a stepping stone to reach larger corporations: e.g., a family-owned physical therapy group could be hacked (and defrauded) while criminals may be trying to use them to gain access to an insurance company. According to the cyber security presentation, while many small businesses that may not have an internal network they should take advantage of the internal firewalls that are present on Windows and Apple computers. All workstations and laptops should have these firewalls enabled at all times. Back in 2015, Rep. Byron formed the BAC, which is an active group of small business owners that go over state business policy each month. Its purpose was to keep the small business community aware of what the legislature was considering, while communicating to the legislature the needs of the small business community. Often Rep. Byron brought in guest speakers to talk to the group. Rep. Byron has relied on the BAC to help with potential pro-job and business legislation that would help Connecticut’s economy. Posted in Newington Town Crier, Newington News on Thursday, 3 January 2019 08:10. Updated: Thursday, 3 January 2019 08:12.